IMAGE: Life-extending hormone bolsters the body's immune function. 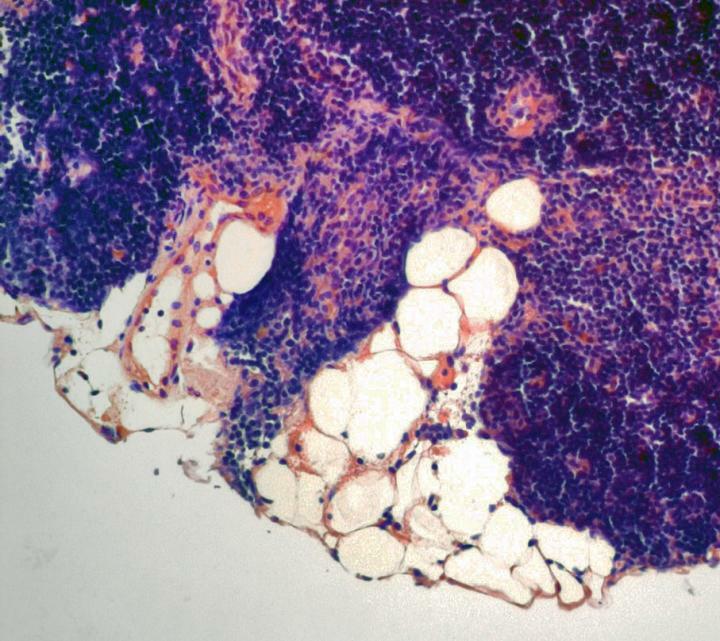 A hormone that extends lifespan in mice by 40% is produced by specialized cells in the thymus gland, according to a new study by Yale School of Medicine researchers. The team also found that increasing the levels of this hormone, called FGF21, protects against the loss of immune function that comes with age. Published online in the Proceedings of the National Academy of Sciences on Jan. 11, the study's findings have future implications for improving immune function in the elderly, for obesity, and for illnesses such as cancer and type-2 diabetes. Led by Vishwa Deep Dixit, professor of comparative medicine and immunobiology at Yale School of Medicine, the researchers studied transgenic mice with elevated levels of FGF21. The team knocked out the gene's function and studied the impact of decreasing levels of FGF21 on the immune system. They found that increasing the levels of FGF21 in old mice protected the thymus from age-related fatty degeneration and increased the ability of the thymus to produce new T cells, while FGF21 deficiency accelerated the degeneration of the thymus in old mice. "We found that FGF21 levels in thymic epithelial cells is several fold higher than in the liver — therefore FGF21 acts within the thymus to promote T cell production," said Dixit. "Elevating the levels of FGF21 in the elderly or in cancer patients who undergo bone marrow transplantation may be an additional strategy to increase T cell production, and thus bolster immune function," said Dixit. "We will also look to developing a way to mimic calorie restriction to enhance immune function without actually reducing caloric intake." (Link to the full article becomes active the week of Jan. 11).